When moving into a new construction home, window coverings are one of the first things homeowners need. Not only are window treatments and covers a great starting point for decorating, but they are critical for privacy and safety as well. Window coverings come in a wide variety of styles – from blinds to shades and shutters to curtain panels – you’re sure to find something to fit your taste. Try combining blinds with curtains to add even more warmth and depth to your rooms. 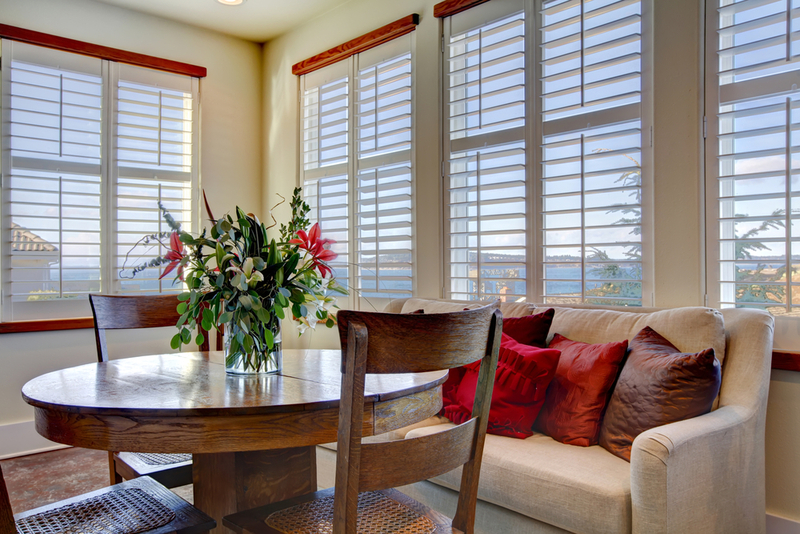 Roman shades are back “in” again and so are the bold colors and patterns they come in. Look for a fabric you like and build your room around them – think ikat or floral patterns – and use those colors to find furniture and paint that coordinate. You can take a fabric sample to the paint store and have them color match the exact shade for you. Roman shades also come in cordless, balloon, relaxed and flat styles, all offering a slightly different look. Wood blinds and shutters look great in almost any setting and can be dressed up with fabric curtains, a valence, or both to add color and texture. These window coverings have a uniform look when viewed from the home’s exterior, as well. Depending on your budget, real or faux wood products are available and both are very durable. Using sheers to cover windows but still allow in a lot of natural light has been a lasting window fashion concept. However, the recent trends are moving towards sheers in colors other than white. Sheers now come in all sorts of colors and even some patterns to give your room a more vibrant look. Brass, bronze, gold, and other metallic colors are big in the home décor world right now. Naturally, this extends to window coverings as well. Use a brass curtain rod with a fabric curtain that incorporates a slight metallic shine into the pattern to stay up on this trend. In the bedroom, solid shutters are the up and coming favorite. They open wide to let in the morning sun and give you a clear view during the day, and contrast with an almost completely blackout effect when fully closed at night. Perfect for privacy, too!